Scotland isn't just kilts, haggis, Irn Bru, the Loch Ness monster, bagpipes, square sausage, tenement buildings, heroin and ginger hair. Perhaps due to these horrendous clichés, the people of Scotland have also developed a reputation of being extremely hard. The mean, economically deprived streets of Glasgow, in particular, are testament to this and you only have to research what a 'Glasgow smile' is to see how nasty it can get. Looking at it from our vaguely lower middle class perch, we think the whole thing's a bit silly and, quite frankly, Just a Boy's Game. Jake McQuillan (Frankie Millar) casually drifts from bar to bar confident in the fact he can handle himself. In fact, it's fair to say he relishes this knowledge and isn't willing to hear anything to the contrary. Flanked by his promiscuous, good time friend Dancer Dunnichy (Ken Hutchinson), Jake is talked into taking a day off from his work atop a crane in Glasgow docks. 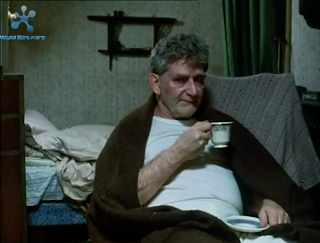 Meanwhile, Jake's cantankerous grandfather (Hector Nicol) - a former hardman of the streets - is a sick man and rather resentful of young Jake. Despite this, Jake seeks respect from his grandfather, but his quest to cement his reputation will end in tragedy. Part of the BBC's much loved and much missed Play for Today series, Just a Boy's Game was beamed into British homes on 08/11/1979. Peter McDougall - known by some as the voice of Scotland - put together the script, which was his fourth for Play for Today alongside Just Your Luck, Just Another Saturday and The Elephant's Graveyard. Capturing every minute, grim detail of a decaying and deprived 70s Glasgow was the camerawork of Elmer Cossey who had previously filmed British TV institutions such as Doctor Who and Not Only... But Also. Taking advantage of the fact that Frankie Millar just happened to be a singer, he had a dual role as lead actor and providing the soundtrack. Not having watched any Play for Today for a few months we decided to revisit the vast archives. We've said before that it's a shame the TV play is virtually extinct in this day and age. Amongst the endless soapdramareality serials, the odd one off play would be a nice refresher on the palate - much like a lemon sorbet in one of those posh restaurants we can't afford. Sky Arts started their Playhouse Presents series in 2012, so hopefully there's life in the old dog yet. We always like to identify the quality of acting early on and Just a Boy's Game doesn't disappoint. 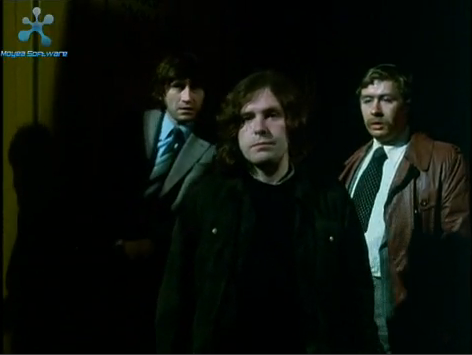 Frankie Miller effortlessly pulls off Glaswegian death stares and injects a stony soul into Jake. Throughout the play, he gradually strips Jake of all emotion until even the death of his best friend is brushed off as a necessary evil. 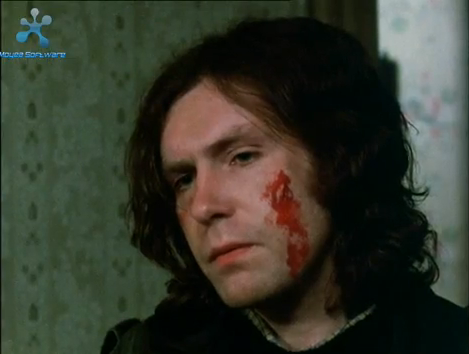 If Frankie Miller's singing career hadn't been such a success, then acting would have offered him a promising alternative. Ken Hutchison as Dancer is full of charisma and is the type of promiscuous, drinking womaniser that you can't help but love. His career spanned over thirty years and IMDB go as far to claim that "One of the most brilliant character actors of his generation, Hollywood's loss was British television's gain with Ken Hutchison.". 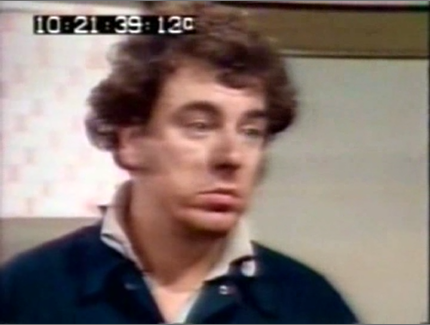 The real surprise for us was Gregor Fisher as Tanza (Jake and Dancer's mate). Having only seen him in comedic roles previously, we didn't realise he could act in a serious role so well. His emotional turmoil at the death of Dancer is one of the highlights for us. There are a few dud performances from some of the peripheral characters such as Jake's rivals, but they don't take the shine off the main characters. Peter McDougall started his career off working in the Glasgow shipyards featured in Just a Boy's Game, so it's a world that he knows and this shows in the writing. Known as the voice of Scotland, McDougall explores themes close to the hearts of working class Glaswegians such as family and the ability to never back down from a challenge. The pursuit of being top dog on the estate at any cost is what drives Jake and exposes psychopathic tendencies which hint at a dark future. The family angle is perhaps slightly less well explored and one area that felt a big vague. We never got a handle on exactly why Jake wants a connection with his grandfather - is it to gain his respect? Is it for the sake of family? There's a lot of respect for Just a Boys Game online over 30 years later and it's gritty appeal is difficult to ignore. Distilling the essence of downtrodden council estates into the heart of their characters, the main actors put in terrific performances; this is matched by the subtle nods to the minutiae of socioeconomic aspects of Glasgow life such as cheap 'wine' and stark living conditions. Our main criticism comes for the lack of a real driving force. At times Just a Boy's Game comes across a bit low key. However, it's definitely one to watch on YouTube and you may even want to hunt down the DVD release from several years ago. Curious British Telly has a few comedy icons who have influenced our sense of humour. Woody Allen always had that talent for mocking our fears, Stewart Lee counters the hypocrisy of the world we live in and Paul Rose introduced us to Mr T and his bins. What's that I hear you cry? Paul Rose? Oh, you may know him better by his name of Mr Biffo. Anyone? You there at the back? Mr Biffo? No? FOOLS! It's become painfully obvious that it's time you watched Biffovision. 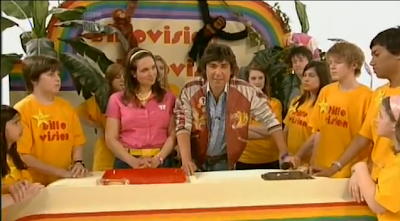 A spoof of saturday morning kids TV, Biffovision saw Hugo Visage (James Lance) leading fellow cast members such as BW (an irritating puppet) and Peggy Pigstrap (Ingrid Oliver). The show took no prisoners and mocked American import cartoons, machine like reviews of pop music and the fact that on live TV anything can go wrong. 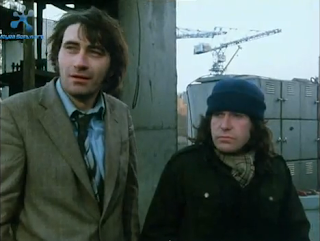 Several sketches were inserted throughout the show which featured performances from Jim Howick, Daniel Lawrence Taylor and Paul Rose himself. Biffovision was a one off comedy pilot produced by Hartswood Films for BBC3 and broadcast on 26th March at the unenviable time of 3.15am. The show's rather strange broadcast time was, apparently, down to it being the end of the financial year and the only slot available. It was promised a better repeat slot and had to settle for midnight on 5th June - hardly an improvement. 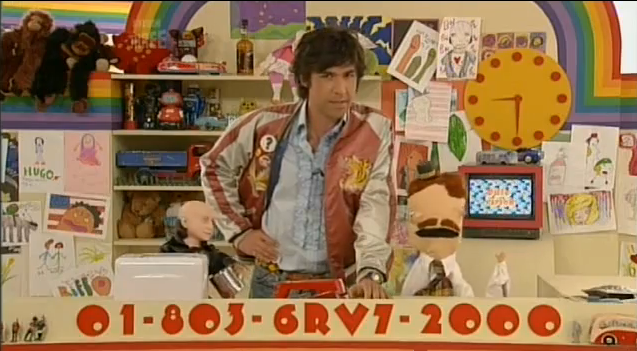 As you can probably guess by the show's title, Mr Biffo aka Paul Rose was behind its concept. Helping with the writing was Mr Biffo's old friend Tim Moore who between them had created the Channel 4 teletext series Digitiser. Directing the proceedings was Richard Boden who has been involved with everything from Blackadder, The IT Crowd and even Life of Riley. As mentioned above, Paul Rose is something of a hero to us. He was the driving force behind Digitiser for ten years. Every morning we would get up early so we could view the latest edition before heading off to school/work; pretty much every day saw us rolling about on the sofa convulsing with laughter at the surreal insanity of it all. It was a world away from Channel 4's Teletext mascot Turner the Worm and saw a mixture of blocky 8-bit weregiraffes mixing it up with crank calls to the video games industry. It was very dadaist in nature and developed a cult following who, to this day, still quote phrases such as "And! ", "Keep away from Mr T's Bins!" and "moc moc a moc!". Despite being a huge Mr Biffo fan we somehow missed the original broadcasts of Biffovision and didn't become aware of them until a few years later. We've recently revisited the show for the purposes of this blog and were glad to find it still in fine fettle. It's closest relative is Look Around You, but the lampooning nature of the show also calls to mind This Morning with Richard Not Judy albeit it slightly less knowing. 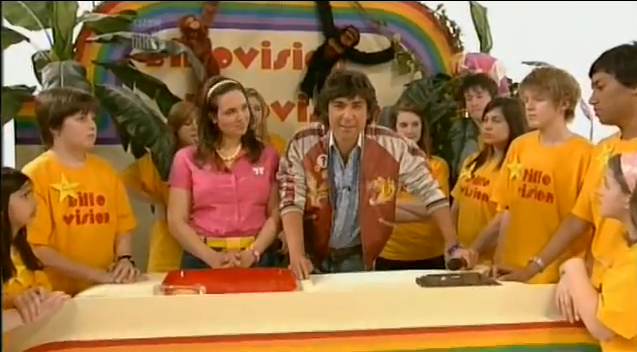 Saturday morning kids TV was always packed full of cliches, so it's an environment rich for spoofing. Whether this environment could have sustained a whole six part series is up for debate, but with some tinkering such as giving other characters more to do then it could have pulled it off. James Lance brings his laid back charm to the role of Hugo, but manages to create a sense that underneath this cool persona lays the soul of a tortured presenter. One who would much rather be hosting Saturday night primetime than mucking about with awful puppets. 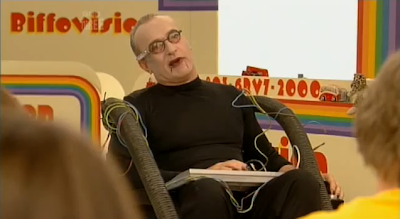 It never did Schofield any harm though, so maybe Mr Visage just needed to hang in there. As mentioned above, the other characters aren't given that much room to breathe, although the megalomaniac Professor Derek Doctors had the potential to be quite sinister what with his vapourising eye laser. Ingrid Oliver plays the role of reliably positive female presenter well, but it would have been nice if her character had been given a bit more depth. Paul Rose and Tim Moore have really let their minds off the creative leash with Biffovision. The sketches running throughout are quite, quite hilarious. The 'Mr Botton' sketch is a flash of surreal genius that Vic and Bob would be proud of and the 'Futurewest Telecom' sketch could easily slip into an episode of Big Train. The 'animal section' desecrates the grave of The Really Wild Show by deciding to explore the world of tortoise pickling which is met with cheers from the young studio audience. Then there are the lovely little suureal quips such as when a mysterious character in a top hat and cape approaches two children and one remarks "It's Santa Claus!". There's a lot of this anti-humour on show and is another nod to Vic and Bob's tireless pursuit of the 'non-joke'. As you can probably guess, we absolutely loved Biffovision. There's a lot of love online for the show, but there are also several comments saying that the show was just random nonsense. It's an acquired taste, that's for sure, but it's a shame the BBC gave it such dreadful timeslots. BBC3 is very much the channel for the youth and they may well have taken this to their heart. Perhaps it was best off as a one off due to the format being in danger of running out of steam. Paul Rose mostly works in children's TV now, but we feel it's a great loss to the nation's funny bone that he isn't tackling more ground in the adult hemisphere of comedy. Tim Moore, meanwhile, is busy writing travel books with a humourous edge. Biffovision is hosted on YouTube, so head over there and see what all the fuss is about. There's a lot of form filling involved in most tasks these days and, perhaps, that's why David Jason isn't keen on sanctioning the release of his lesser known works. In fact, ask him if he wants to let loose the wonders of Lucky Feller or The Secret Life of Edgar Briggs and it's quite likely that he'll draw a sharp intake of breath. We are, of course, with the subtlety of a drunk elephant, alluding to the fact that this edition of Curious British Telly will be taking a look at A Sharp Intake of Breath. Peter Barnes (David Jason) and his dear wife Sheila (Jacqueline Wilson) appear to live the idyllic 70s sitcom lifestyle. Mini Cooper? Check! No children? Check! Pastel coloured kitchen? Check! However, this innocent world is nothing but a sweetener for the red tape hell that poor Peter must endure at every turn. Standing in his way of an easy life are Alan Armstrong and Richard Wilson who play different characters in each episode. The titular 'sharp intake of breath' refers to audible response that Armstrong and Wilson give to Peter Barnes' simple requests. 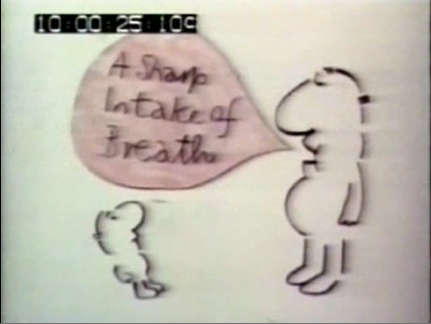 A Sharp Intake of Breath ran for 22 episodes (including the pilot episode) over the course of four series between 1979 - 81. The show was created by Ronnie Taylor who also wrote the first three series, the final series being written by Vince Powell. Curiously, the third series only ran for three episodes and it's shortened length was down to the untimely passing of Ronnie in 1980. Part of ATV's programming for ITV, episodes aired at 8pm and the opening credits featured cartoons drawn by Mel Cartman. A repeat of series 2 followed several months after series 3 first aired and series 3 was repeated several months after the final series. Since then, no repeats have aired and there have been no commercial releases. As discussed in our feature on Lucky Feller, David Jason is not a fan of everything in his back catalogue. A Sharp Intake of Breath falls into the unfavoured category and he has never given a release the green light. In a News of the World interview around 1980, David Jason claimed "I love old Barnsey. He's such an idiot/", so quite what changed is up for discussion. 12 episodes are available if you're willing to search the internet, although we must point out that some websites charge a lot more than others. The six episodes that we have seen are sub-VHS quality, but watchable enough. The few episodes of Lucky Feller that we had seen were of a decent quality and left us scratching our heads as to why David Jason wasn't keen on it. A Sharp Intake of Breath ran for four series, so we thought it was worth dusting down and giving a damn good viewing. Head and shoulders above anything, the acting is a real highlight. Alun Armstrong and Richard Wilson both play their varying roles with a zeal that actually dwarfs David Jason's performance. 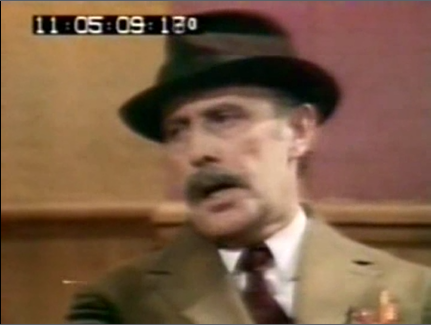 The only poor performance we saw by Wilson is in the episode 'The Gas Man Cometh' where he fails to adopt an authentic Cockney accent. 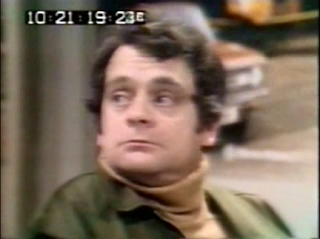 It's been rumoured that David Jason isn't keen with his 'raw' performance in these early roles, but he's not too bad here, although his well spoken accent does keep slipping into Del Boy. The one weak performance is by Jacqueline Clarke, but to be fair, she is lumbered with a lifeless 70s sitcom wife role. The episodes we have viewed didn't exactly blow us away. The opening episode, 'Your Life in Their Hands', for example is as bare in plot as it is in laughs. Slightly better, if you're willing to suspend your disbelief, is the episode 'See You in Court' which, although formulaic, does have a nice payoff. Most episodes, however, passed us by and we never felt that bureaucracy was really being lampooned. The laughter rate was very low too. It's difficult to believe that the same decade which brought us Fawlty Towers (still a gut busting laugh fest) could also bring something as limpid as this. Mind you, the 00s and 10s saw the genius of Peep Show running alongside fare such as The Life of Riley, so things haven't changed that much. The show ran for four series, though, so the viewing public of the time obviously liked it. Despite this, there's little discussion about A Sharp Intake of Breath online, so maybe wasn't a show that people took to their hearts. We would be interested in viewing episodes from later series as it's rumoured the quality improved, but it isn't something we'll be rushing out to locate. Sadly, we're with David Jason on this one: it's no Lucky Feller.